ABC Russian: Russian nouns and adjectives: declensions in all cases. 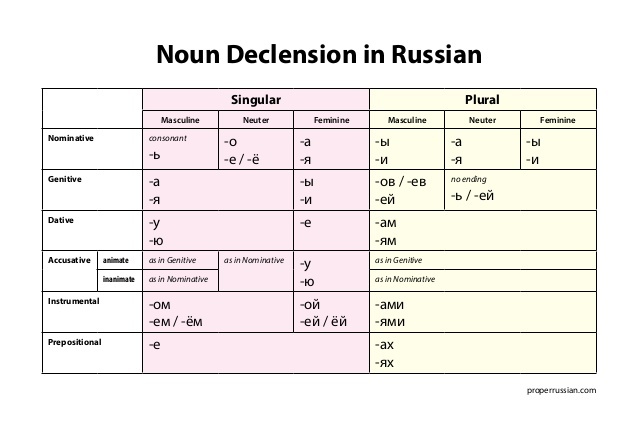 Russian nouns and adjectives: declensions in all cases. This grammar table will be helpful for everybody who learns Russian! Nouns and adjectives, in singular and plural in all 6 Russian cases.